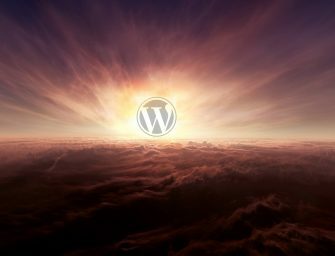 I was recently asked to do a WordPress presentation for a series of business owners, the point being how important a good platform is on the internet. And of course, how easy it is to get a website up and running through the most powerful CMS around (WordPress of course). As the owner of a Mac, I didn’t have the luxury of using Microsoft Powerpoint. I didn’t want to struggle with designing slide layouts one-by-one so I had to find the best Keynote template to make an impact and get the attention of my audience and communicate my message via clear visuals. This post is aimed to help you discover 10 of the most Amazing Keynote Templates currently available. Drawing and maintaining attention from an audience that’s on a tight schedule is not an easy task. The presentation has to be appealing in every way, otherwise you’ll lose interest before the presentation starts. In addition to making everyone listen, you have to effectively get your message across through entertaining visuals. So, how do you achieve this without the all-mighty Powerpoint? The solution comes in the form of Keynote themes. With the right Keynote business templates you can turn any of your Apple devices into a presentation genie. 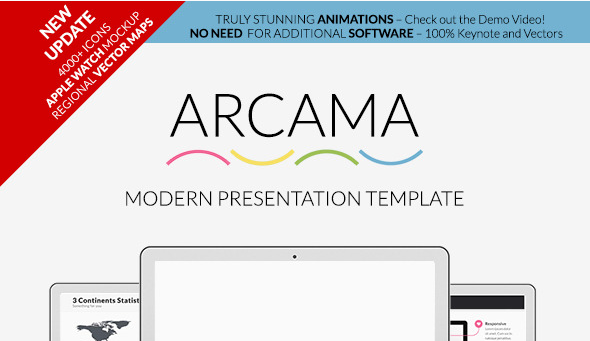 Flat design Keynote Templates are for Mac what Powerpoint is for Windows. They give you the opportunity to create a stunning and unique presentation on the fly, making you look like a professional all the way. As long as you’re using an Apple device you can easily put together a show that will impress and influence the most difficult crowd. Everything depends on what you need and how you want to showcase it. Of course you can look for the best free keynote templates 2017, and you’ll be quite happy with what you find. But it’s ultimately the premium templates that give you all the control you really need. With more than just a solid reputation, Six Keynote Template places the focus on 6 specific elements. The first being a range of 45 slides, which are custom animated pages and transitions. The second reason is the unique section breaks the theme offers, making it easy to manage and place images. Thirdly, there’s an extensive range of infographics and analysis available. The features are rounded up by 4 amazing built-in templates, creative showcasing options, and of course the special font editor. With the editor you can take typical icons and use them as fonts, in addition to changing them as you please. 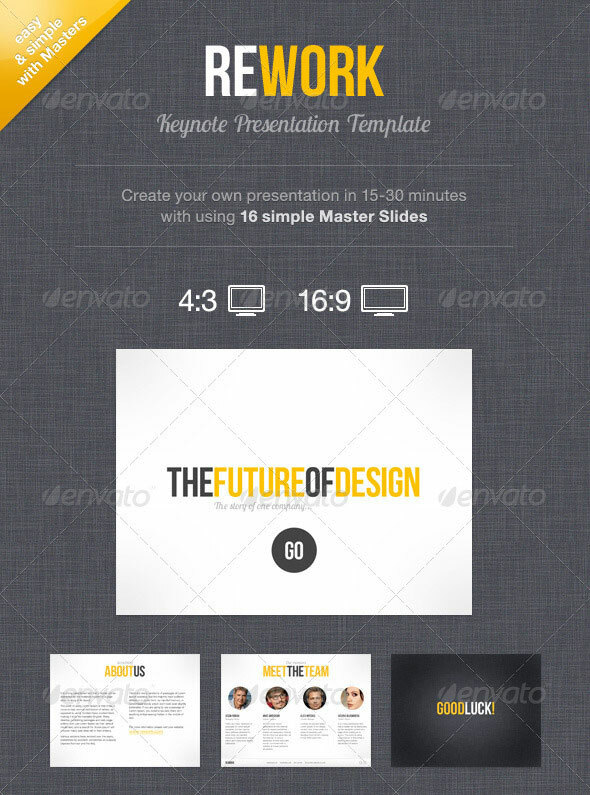 Another creative Keynote template is Ever. It’s incredibly popular among Apple users, because it’s clean and simple, yet incredibly dynamic. You won’t have any problems getting the message across and the overall design is very professional. Some of the features include 200 multipurpose slides, custom animations for each object, a lot of options in terms of customization and several infographic diagrams. It doesn’t really matter what type of business presentation you want to do, Ever really is a Keynote template with unique design. Putting together an impressive presentation doesn’t get much easier than this. 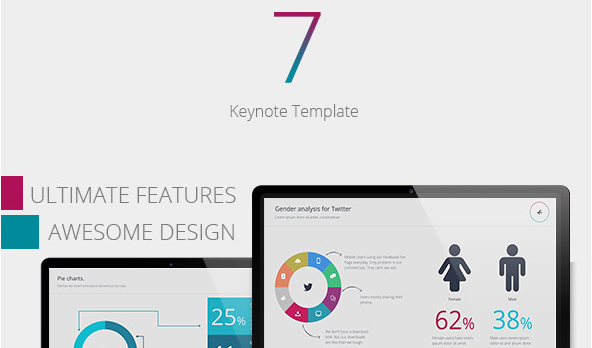 It might not share the same popularity as the above mentioned professional business Keynote templates, but that doesn’t make Se7en any less worthy. This is a versatile template that focuses on a clean and open design. 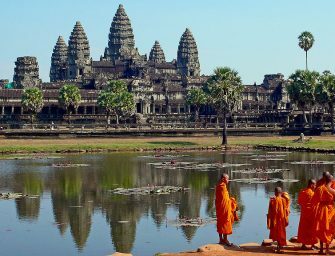 Images can easily be dragged and dropped into place, there are about 230 slides to choose from, it includes innovative map analysis and some amazing animations. Se7en is not flashy as it is effective at gaining attention and getting your message across. 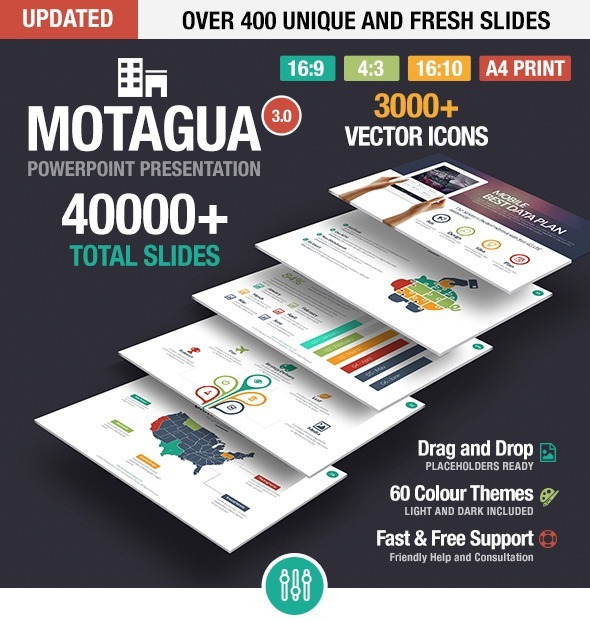 There’s no denying that Motagua is a powerhouse regarding modern & trendy Keynote templates. With more than 15 000 slides you simply cannot run out of options. It also has 16 color themes, a very modern layout and a full HD 3 aspect ratio. Then of course there are the 3000+ vector icons. 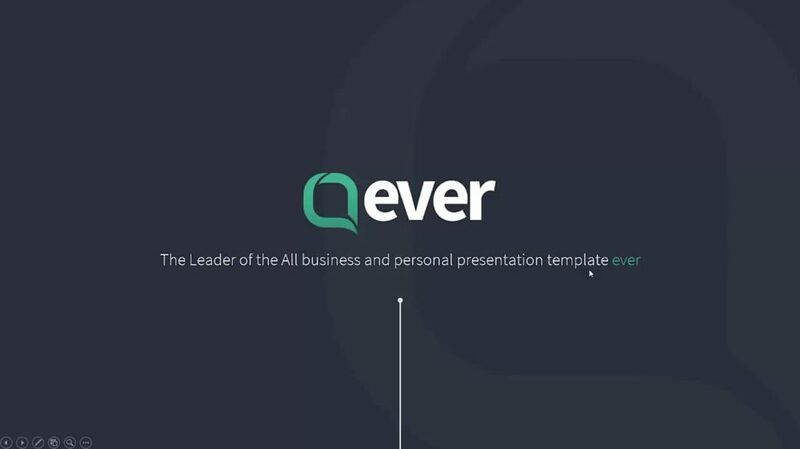 As one of the best premium Keynote templates, the design is crisp and natural, but doesn’t lose its professional touch. Rework is an apple Keynote template that mainly focuses on putting together a quick, yet effective presentation. According to the author, you can have a full presentation ready within 30 minutes or less, using the 16 master slides. 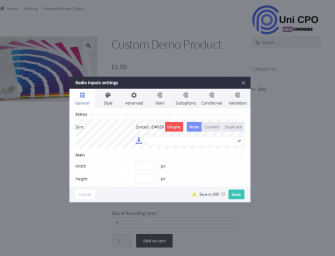 It comes with all the basic goodies, such as placeholders and animated effects, which make the presentation creation process so much quicker. For professionals who don’t like wasting time, Rework is an amazing Keynote theme. 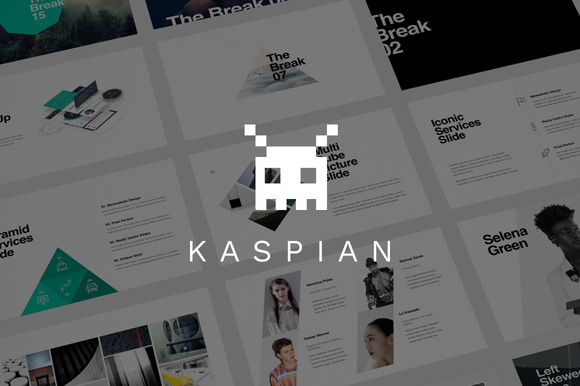 KASPIAN is known for its progressive design and rather unique approach with the side/cut photo. But it’s definitely not the only elements that make it a Keynote favorite. 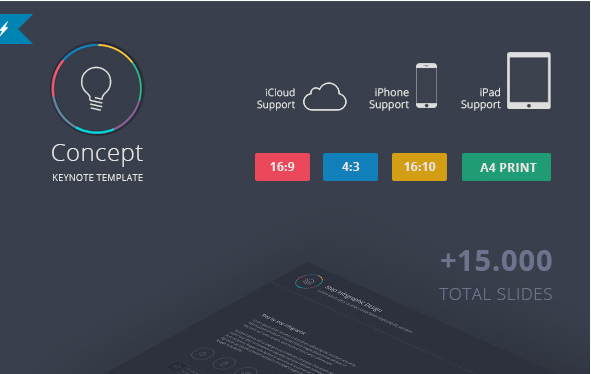 You have unlimited color options, several mockup options, more than a 100 unique slides and 50 key infographics. 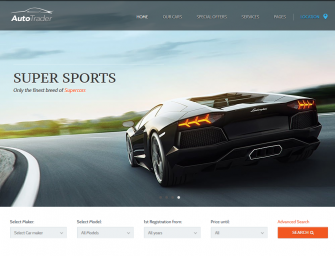 All of these are customizable through a very user-friendly process. Once you start using it you’ll notice how effective this Keynote template really is in terms of reaching an audience. 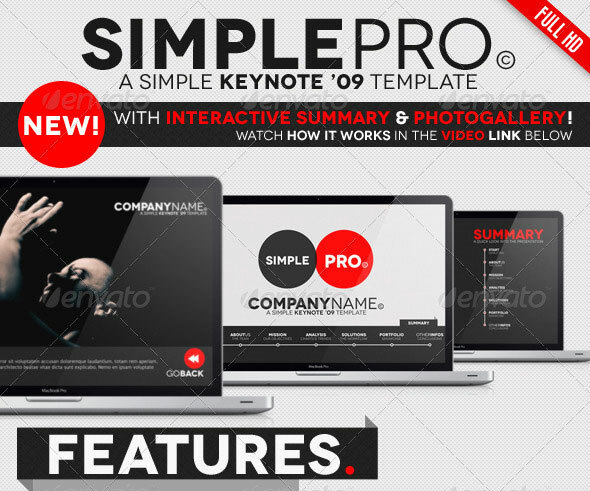 The main attraction for the Simple Pro Keynote template is the interactive aspect. With every slide there’s a special summary tab. This tab takes you to a menu where the hyperlinks for all the slides are, making it very easy to find a specific slide. The authors are also very proud of the image gallery feature. There are 27 slides to choose from, and as the name of the Keynote suggest, it’s a very basic operation. It’s meant for quick and on the fly presentation creation without cutting too much on quality. As mentioned earlier, there are hundreds of free Keynote template packages, but for the most part you’ll be happy you chose the premium versions. With the latter you are in control of everything, which means you can be so much more creative. And if you use any of the above mentioned Keynote templates, you’ll kick yourself for not finding them sooner.